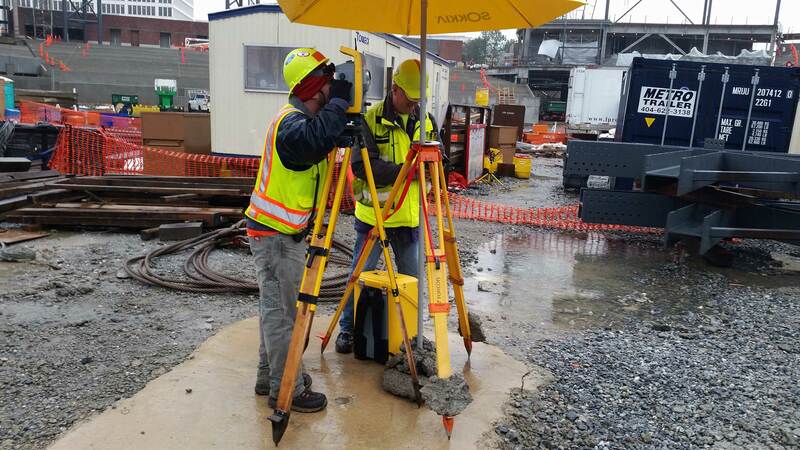 Construction of new facilities or infrastructure is typically the direction that any development project is headed when one begins working with a surveyor. TerraMark is aware of this fact and has created our entire process of data collection and project procedures to accommodate the selected contractor. This awareness ultimately provides for time and money savings to the property owner, developer and/or contractor. TerraMark is very experienced with all aspects of the construction process. We have worked with numerous grading, pipe, rail, roadway and building contractors over the years and have developed our construction procedures that provide for excellent quality control and assurance. In fact, we have developed a “Construction Stakeout Manual” that assists our field staff along with on-site contractors. We are able to assist from the initial site clearing and erosion control to the final record drawings of the final constructed facilities.